A clear pathway to legal and permanent residency for immigrant families, so they can participate in our shared prosperity. Protect our brothers and sisters who are undocumented and ensure that no one stands alone with the threat of inhumane deportation. No person deserves to live in fear of separation from his or her loved ones or home. 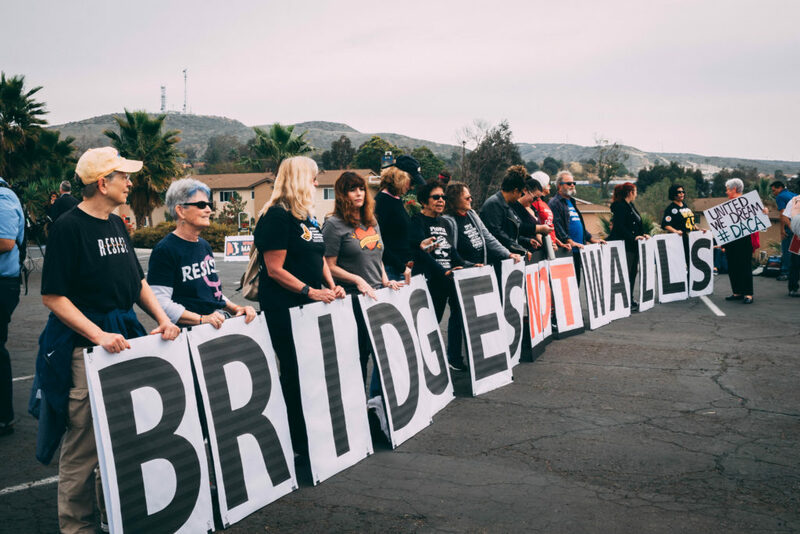 We took the lead, together with the ACLU and the Employee Rights Center, to develop a Rapid Response Network to keep families together protect our brothers and sisters from raids and deportations by Immigration and Customs Enforcement (ICE) and Customs and Border Protection (CBP). We are also responding directly to incidences of racially-motivated police brutality and victimization of residents and communities by white supremacists. If you see immigration enforcement activity in your neighborhood, call our 24-hour hotline: (619) 536-0823. To learn more about getting involved to support immigrant families, email dinora@sdop.net. After nine months of our congregations advocating for our loved ones living in fear of deportation, the California State Assembly passed the California Values Act (SB 54), an important bill to keep our families together. National City passed a resolution in support of the bill, and named itself a Compassionate City in support of immigrants living in the city. 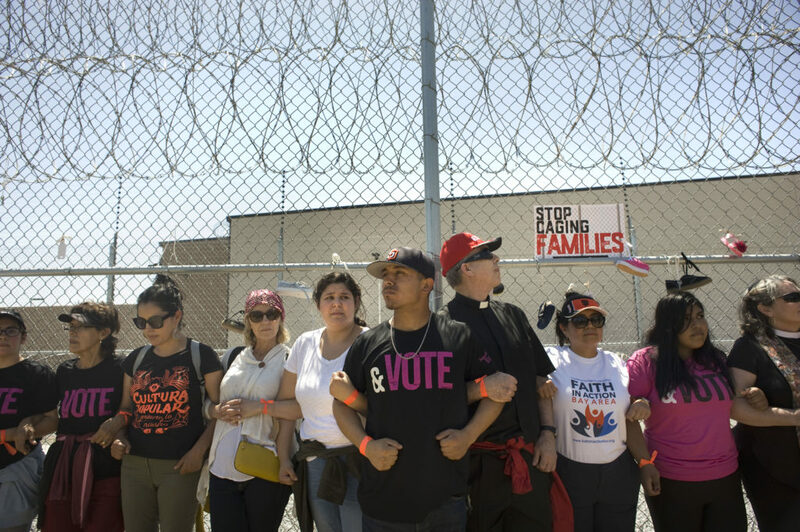 When the federal administration threatened to tear families apart, thousands of people of faith from across California came together for a moving march and rally at the Otay Mesa Detention Center. Our efforts earned media coverage in several national outlets and influenced public policy to keep families together. 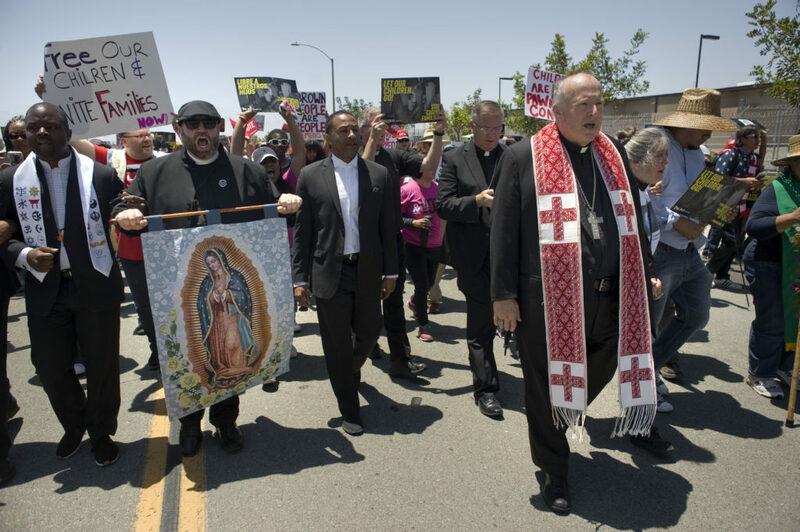 We conduct workshops in parishes throughout the San Diego Diocese, providing information for thousands of immigrants to understand their legal rights and any new immigration policy. We also work with the Employee Rights Center to provide micro loans for immigrant families to cover the cost of screenings and applications for citizenship. We’re building a 40-foot monument of Mary in the likeness of the Statue of Liberty, to stand as a beacon of hope for immigrants and refugees at the U.S.-Mexico border. We’ve already raised more than $1 million, and we need your help to make this project a reality. Visit welcomethestranger.us to learn more and help us make history.